Auto Repair in Canton, GA I Call Richard's Automotive! Welcome to Richard's Automotive Repair! At Richard's Automotive Repair, we are committed to delivering the highest-quality auto repair in Canton, GA. As a family-owned auto repair shop, we understand the importance of customer service and going above and beyond. When you bring your vehicle to us, you can be assured of receiving attention to detail and superior service. 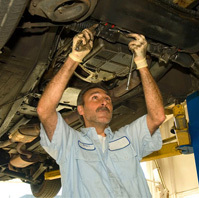 Along with general maintenance work, we also provide brake repair services and engine diagnosis. 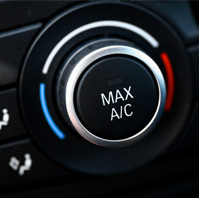 Whether you know what the problem is with your vehicle or just know your vehicle isn’t running right or is making a strange noise, we have the equipment, knowledge, and skill to quickly and accurately diagnose the problem and outline a solution. We are also pleased to provide our own towing service. Our motto is “Prompt, Professional Service,” and that is exactly what you will receive when you visit our shop for auto repair in Canton, GA. No one wants to wait around while their vehicle is repaired. 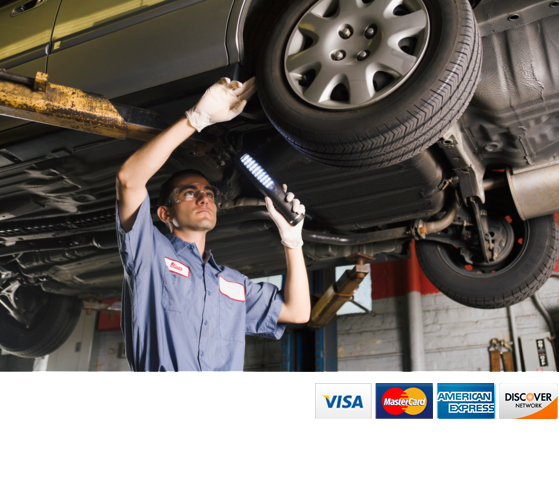 We understand that you want your vehicle repaired quickly, correctly, and affordably. 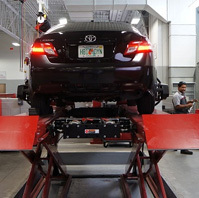 We strive to get your vehicle repaired as quickly as possible while ensuring that the job is done right the first time. As part of our commitment to delivering the most professional auto repair service possible, we are a Dealer Level auto repair shop. This means that we do not send anything out. Instead, we perform all repairs in house, ensuring that everything a customer needs, we already have in stock or can get quickly. This results in more reliable and prompt service for our valued clients. We fully stand behind all work performed with a nationwide 12-month or 12,000-mile warranty on labor. We are pleased to provide a comfortable waiting area, free WiFi, and free coffee for our customers who prefer to wait while their vehicle is repaired. Our shop also offers a shuttle service and will be happy to take customers to their home or anywhere else within a 10-mile radius. Welcome to Richard's Automotive Repair! 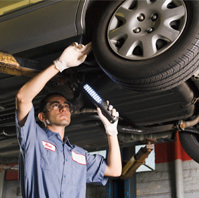 Auto Repair in Canton, GA At Richard's Automotive Repair, we are committed to delivering the highest-quality auto repair in Canton, GA. As a family-owned auto repair shop, we understand the importance of customer service and going above and beyond. When you bring your vehicle to us, you can be assured of receiving attention to detail and superior service. Addresss 2965 Lower Union Hill Rd. Copyrights 2018© Richard's Automotive Repair | All rights reserved.